This is the Unity desktop team and during the last months we focused, as always, in polishing and improving the user experience of our default window manager for the next upcoming LTS! 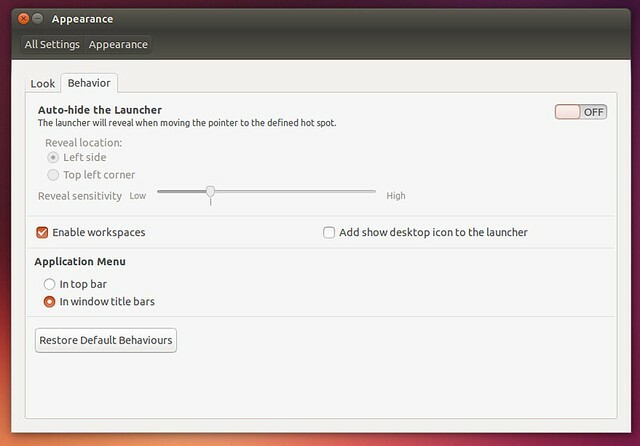 In fact, while in the last months most of the Canonical commitment to Ubuntu has been directed to the Touch form factors, the “classic” desktop has not been forgotten at all and, we’re still working hard on it, to give our users the best experience and to approach smoothly to the convergence vision that we’ll get with Unity 8. Part of this work have been the spread improvements, the HighDPI support, the new decorations and tons of various bugs fixed; however with this important milestone coming we also wanted to finally propose a solution to fix the main UX bug we have in Unity since its very first release: the menus being hard to find or too far from their parent window. 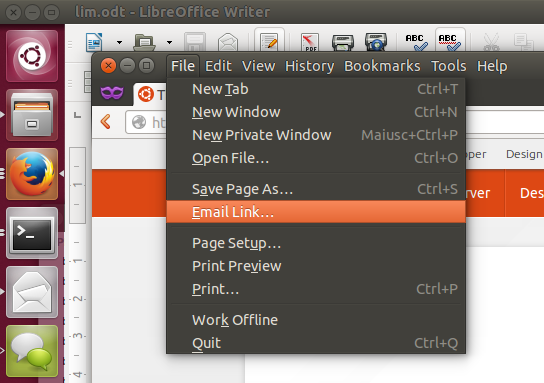 In fact, having the applications menus in the top panel really worked very well in small screens but now, especially with HiDPI monitors getting more and more popular, the top panel could be really too far from the actual window location… The solution, that the UX designer JohnLea has defined are the Locally Integrated Menus (LIM). People might recall that also at 12.04 times we implemented a first prototype of LIM, however due to some very-hard-to-fix issues we had with core applications, we decided not to try to propose an half-working solution for an LTS. So, almost 2 years have passed, but our intent to get this feature done was still strong, although this time we wanted to implement LIMs in the proper way, as Ubuntu quality standards deserve. In addition designers defined a new and improved revision of their work, proposing to show the menus inside the decorations themselves in horizontal mode (until we’ve room for them); so, continuing to save the precious vertical space and keeping the nice look of menu-less windows unchanged. To be honest, we’d loved to land this way before, but the amount of technical work needed has not to be underestimated. Being more precise, one of the blockers we had in 12.04 was our dependency on the legacy compiz decor plugin + gtk-window-decorator, that has worked “OK” in the last years but – a part from using deprecated technologies (gtk2 in primis) – it really would have made this concept impossible to realize. So, the first step has been moving away from the old gtk2-based decorations and writing brand new decorations supporting Gtk3 CSS theming² inside Unity itself; this has been an huge work (including writing a brand-new widget system for handling compiz textures in a more natural way), but it gave us great benefits in the end such as much faster windows resizing , improved look, support for dynamic scaling (for both HighDPI and accessibility reasons). Once we had this new layout where to place any widget quite easily, all took shape in few lines, we only had to handle the fact that now menus opens on mouse button release and only if the user doesn’t keep it pressed for too long³, while a slightly trickier part was to handle the case where we had a too small window to show menus in horizontal mode, and where we had to fallback to a dropdown menu. As this is an LTS release, before setting this menu mode as the default we wanted to have some community feedback. For now, you have to enable it using the Unity Control Center Appearance panel, and let us know what you think! Tweakers might be happy to know that there are also other settings you can use to adjust your LIM experience under the com.canonical.Unity.IntegratedMenus gsettings schema, that allows to define the pressure and movements thresholds, and to also enable double-click over the menus (to maximize the window, if you’re fast enough); However, while you can adjust the settings for now, we encourage to use the defaults as they are based on wide user testing and are coherent with our design guidelines. After some words, I guess it’s time to see them in action, and upgrade your Ubuntu Trusty machine to enjoy them!